Alcatraz. JJ Abrams is a sensationalist. A sensationalist in a genre that doesn’t need him. He’s muddying the waters of good storytelling, breaking the time honoured traditions laid down centuries ago, creating a dumbed-down environment where it’s deemed acceptable to produce sub-standard, unfinished, not thought out work, masquerading as revolutionary. Agreed, he creates circumstances that hook—which is part and parcel of our genre, any genre for that matter. However, his fictional circumstances are contrived and will never reward those foolish enough to go the distance with him. Then JJ took Star Trek and shafted it, created a Spock that see-sawed between wanting to be Vulcan and human, indecision his most notable trait. He rewarded a cheating and lying Kirk—a character who should have been represented as hard working and dedicated—with the captaincy of an ugly new Enterprise, one any fanboy with a basic knowledge of design and tolerances could have bettered with a handful of Lego and plasticine. 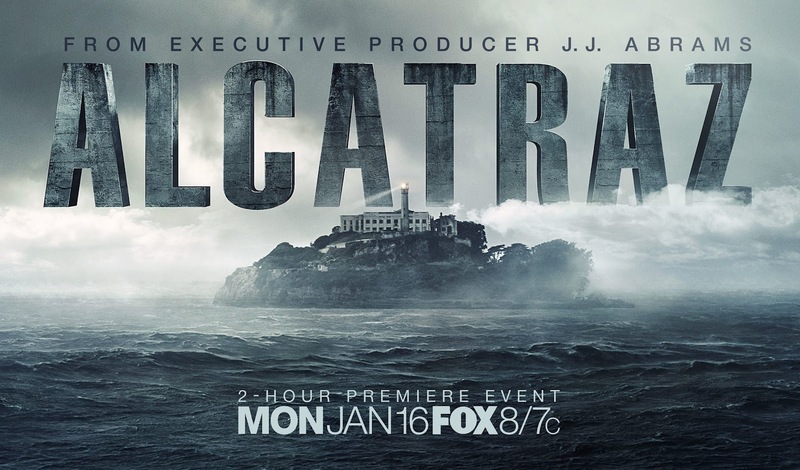 Now we’re told JJ’s latest offering, Alcatraz, is the next best thing in genre TV. Abrams is hailed as a master of his craft. I won’t argue with that—depending on the “craft”. The show’s premise is interesting enough. 63-odd imprisoned criminals, having vanished without explanation from Alcatraz on their day of transference from the facility are now reappearing in the present to continue their crimes. The hows, whys and WTFs mount up. Intrigued, we reach for our remotes. We watch as a team is assembled to investigate these reappearances, and from their viewpoint we follow the scenario as it unfolds. Now, there’s the problem. It doesn’t unfold—and for my money never will. Abrams and his team of sensationalists will rely on the characters of the “team” to keep us hooked, to keep us invested in their story, rather than the core theme at hand. Sound familiar?#1. Why the f*** would any force pluck convicts from Alcatraz and then drop them off in the present day? What is this force’s agenda? What possible motive could there be for such actions? In the minds of the writers / creator, I’ll tell you. None. It’s the neverending story JJ champions again and again. The scenario is there simply to create an investigation team, headed by a frowning Sam Neil whose countenance undoubtedly reflects his having read the script, and our job is to join them on their journey week after week, searching for answers no member of the writing team has any intention to answer. Admittedly, some of the flashbacks intended to develop character are shot well, with a slight sepia toning—but these scenes cut with a sound cue of a prison door rattling shut simply pad the episodes. This pilot episode plays (either purposely or not) like a cheap pastiche of the first Terminator movie, with an expressionless convict stomping around like Arnie to the deep beat of a distant drum, asking a name and then shooting his Sarah Connor equivalent. The faint light at the end of the tunnel, reading between the lines, is that perhaps person/s unknown are responsible for kidnapping these convicts, and instructing them to kill certain targets to alter the course of future history. Perhaps these person/s exist in the future to that of the show’s present day, a future they’re unhappy with, and they believe the deaths they’re bringing about will change the course of history for the better, thus putting their world back to how they want it to be. There, you see? JJ’s got me at it already—trying to figure it all out. The problem here is that just one change in the present would affect the future with incalculable results. It’s all been written about many times before, so I really hope the above is not what JJ and Co are going to finally hit us with as the reason for all this. Indeed, this Terminator comparison would be all the more obvious, had said unseen person/s simply sent back killers from their present. But that would negate the Alcatraz aspect of the (okay, I’ll type it) storyline. We watch these convict “characters” appear in the present day. But they are not characters: they fail to question where they are, where they’ve been, why they’re here—to stare and wonder at their future, the architecture, advancements in automobile design, communications and entertainment technology, to search for relations, friends and loved ones. When captured and asked where they’ve been they simply reply, “I don’t remember.” Oh, please. Just a little development here would have served to add depth to the scenario. But no, that carrot suspended on a string from a rod held out in front of us will always be out of reach as we follow unrewarded week after week. Sound familiar? #2. We need more, JJ. It’s not enough any more to dangle the bait in front of us. We want intelligent answers—or at least, development from what’s established. We want a strong tangled web that we can at least see and become entangled with, rather than one that’s just hinted at and is nothing more than a discarded cobweb swept away by indifference. We know you now, and your game’s up mate. You don’t have a full plot, you don’t know where everything’s going, or what the ultimate reveal or revelation will be, because you’re quite happy to carry on week by week until your show’s cancelled. Advertisers buy airtime from the network/channel, carrying your name before it, knowing us feeble-minded individuals will keep coming back for more, for just the chance that something might be unravelled. Sky announcers hail Alcatrash as “JJ Abram’s hit new show, Extraordinary hit prison drama, So out of the ordinary, it’s extraordinary.” While my Sky guide calls it “high concept”. You’re not proud to be a writer, but are to be a money maker. Joss Whedon you ain’t. 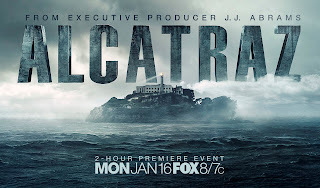 Editors’ note: Alcatraz was cancelled by Fox on 10 May 2012. But that didn’t mean Howard was free to leave. I’ll admit, I have missed a few episodes. Hauser’s (Sam Neil) team were after a key that combined with another two would open a door beneath Alcatraz and possibly reveal all the answers. I’m not that stupid—I knew there would probably be one of those fake brick walls—or at least the equivalent from a story point of view waiting for us. However, the final episode is pretty good—there’s a lot of backwards and forwards from 1963 to the present, drip-feeding us backstory. This works very well, is shot nicely with a good range of angles used and looks superb in HD. It seems “the warden” is back, indicating that he has been up to no good for a long time, the use of his job description rather than his name making him seem like one of Batman’s adversaries. There is even a reference to Hauser’s inner sanctum as “the Batcave”, by Solo, later on in the episode. So when Rebecca’s grandfather chases down the guy with the key, he refuses to give it up, preferring to jump through a window (securely shut, by the way) to fall to certain death on the sidewalk below. Hauser and his team are not far behind, and a traditional car chase ensues with Rebecca at the wheel of a Mustang. Meanwhile, Sam searches the dead guy’s back pockets and pats down his flanks, looking for the all important key, stating “It’s not here.” Desoto then explains “Alcatraz inmates were always finding ways to hide things from guards.” Really? You don’t say. It’s absolutely daft that Hauser doesn’t turn the body over and search his front trouser, or shirt pockets if the key’s so important, that and the fact he’s a top ranking FBI agent and would have been trained to do so. Soto then finds the key hidden in a sock, refuses to hand it over to Hauser, even when he pulls a gun on him. The car chase continues, and for the most part is shot well, mirroring the car chase from Bullitt in a direct homage—you’ll notice the infamous green VW Beetle jump shot is cloned, as is the clipping the hedge shot. Rebecca manages to clip her grandfather’s car and it spectacularly rolls. She pulls him from the wreck and they run as it explodes. After that, it all gets a little silly. Now I don’t know if this final episode was written before the show was cancelled by Fox. But it seems all too obvious the time travel element would be employed if a second season was greenlit, to somehow prevent [REDACTED]’s death—I’m guessing this would have been Soto’s arc. All in all a disappointment if this final episode was written after Fox’s cancellation notice—okay, not a huge fanbase judging by the viewing figures, but a fanbase none the less that requires closure. I’ll admit, despite a few niggles regards plotting and character behaviour, I would like to have seen how the second season would have developed the story, building upon the Warden’s agenda. The last episode certainly had a good pace and was superbly edited—the nod to Bullitt helped—and it at least brought to a close the “behind the door” mystery—too little too late. Perhaps the cancellation will convince writers to change their attitude towards their audience when developing new shows, as the ratings for Alcatraz hint that the game’s up, and that the US market will not tolerate a plot spread so thinly across a first season any more. 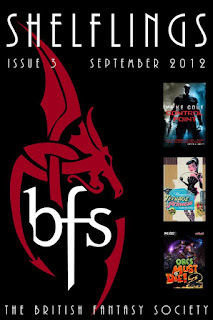 Shelflings is a British Fantasy Society members-only ezine compiled by me from reviews edited by Craig Lockley, Phil Lunt and Jay Eales for the BFS website. 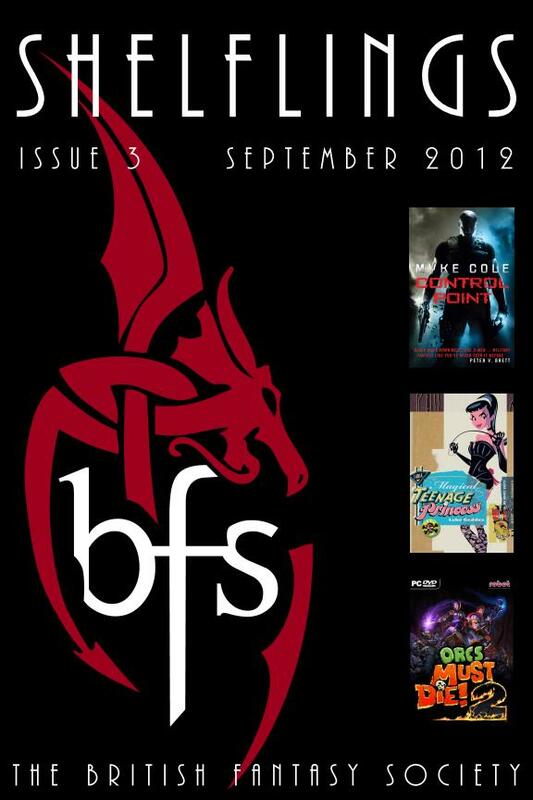 Links for downloading issue three will soon be emailed out to members, so, if you're one of them, make sure the BFS has your current email address on file, especially if you didn't receive the emails sent out for previous issues. Send updates to the BFS membership secretary at secretary@britishfantasysociety.org. If you're not a member, this would be a perfect time to join. Issue three features over 30,000 words of reviews by Catherine Mann, Chris Limb, David Brzeski, David Rudden, Elloise Hopkins, Glen Mehn, Guy Adams, I. O’Reilly, Jeff Jones, Jim McLeod, Katy O’Dowd, M.P. Ericson, Mario Guslandi, Matthew Johns, Mike Chinn, Patrick Henry Downs, Pauline Morgan, Phil Ambler, Phil Lunt, R.A. Bardy, Sandra Scholes and Steve Dean. In this issue the team considers the work of Aaron Dembski-Bowden, Adam Baker, Alan Bundock, Barnaby Edwards, Beenox, Buddy Giovinazzo, C.J. Henderson, C.L. Werner, Christian Dunn, Christopher Nolan, Christopher Paul Carey, Chuck Wendig, Curtis and Sarah Lyon, Daniel O’Malley, Daniel Polansky, David A. Colón, David Mazzoni, David Moody, E.J. Alvey, Frank Henenlotter, Graeme Hurry, Graham McNeill, Ian Sales, James Edward Raggi IV, Jason A. Wyckoff, Jennifer Brozek and Alan Bundock, Jim Beard, Joseph Goodman, Justin Richards, Lamberto Bava, Lloyd Kaufman, Luke Geddes, Margarita Felices, Mark Valentine, Matt Codd, Michael Cisco, Mike Lee, Mike Shevdon, Myke Cole, Nicholas Briggs, Nick Kyme, P.R. Pope, Peter George, Peter N. Dudar, Philip José Farmer, Robot Entertainment, Rowena Cory Daniells, Shaun Hutson, Simon Guerrier, Stephen Amis, Stephen King, Steve Dean, Tad Williams, Tim Pratt, Tom Mattera, Tom Pollock, Tony Lee, Vicky A. Beaver, William Gallagher, William Lustig and Zach Welhouse. 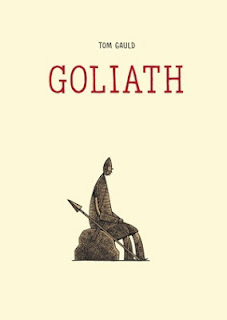 The Goliath of the title (Drawn & Quarterly, hb, 96pp) is the one from the Bible, and this is Tom Gauld’s version of his ill-starred battle with David, or rather the build-up to it, the actual confrontation and its aftermath taking up just the last seven pages of the book. Goliath is part of the Philistine army, but he’s not the mighty warrior of legend. In fact, he’s the self-confessed “fifth-worst swordsman” in his platoon. Reading the challenge he must make to the Israelites, his first response is to faint. Upon waking he says, “I do paperwork! I’m a very good administrator.” He isn’t a coward, exactly; he’s just sensible and doesn’t like fighting. He’s been chosen for this dangerous task just because he’s tall. Goliath’s captain, given free rein by a king who can’t be bothered to read the plans, thinks that in a suit of ceremonial armour Goliath will be so intimidating that no Israelite will dare to take up his challenge. Goliath is simply going where he’s told, with no conviction that what he is doing makes any sense, his eventual fate made all the sadder by the friendship that develops with his nine-year-old shield bearer. When he dies he’s just looking for his little friend, and barely has time to realise what is happening. I’m familiar with Tom Gauld’s art from the superb covers of The Damned Busters, Costume Not Included and the deluxe Penguin Classics edition of The Three Musketeers, but Goliath is the first of his comics I’ve read. The art is in black and white, simple, cartoonish and emotive, with sepia shades, cross-hatching and plain backgrounds enhancing the reader’s sense of Goliath’s loneliness and hopelessness. Goliath is a man made lonely by what makes him useful to other people, and eventually—after a tedious forty-day mission—dying because of it. This sad, funny comic doesn’t take long to read, but leaves the reader with much to think about. “I am the Lorax, I speak for the trees, but cutesy sells tickets, so do what you please.” The Lorax. Directed by Chris Renaud (with Kyle Balda). Twelve year old Ted Wiggins (Zac Efron) lives in Thneed-Ville, an artificially happy and colourful bubble city with inflatable trees and commercialised fresh air. To win the affections of girl-next-door Audrey (Taylor Swift), he must first brave the wasteland outside of Thneed-Ville and speak to the crotchety, reclusive old Once-ler (Ed Helms), then plant a Truffula Tree in defiance of the nefarious and unscrupulous Mayor O’Hare (Rob Riggle). As the Once-ler confesses the details of his greedy, younger day Thneed-mongering and ecology-cruelling defiance of the Lorax (Danny DeVito), Ted’s determination to bring back a Truffula Tree comes to be shaped as much by environmental concern as by his romantic interest. Of all Dr Seuss’s books, The Lorax (1971) is perhaps the most memorable—visually, linguistically, moralistically—and should therefore have been, if any, the most likely candidate for successful adaptation into a feature length animated film, as was achieved with Horton Hears a Who! (1954/2008). However, whereas Danny DeVito is undoubtedly an inspired piece of casting as the titular character—encapsulating not merely through association but also via artfully nuanced voice acting the impotently powerful, comically short, ineffectually good-hearted and sincere walrus-moustached guardian of the trees—other aspects of The Lorax’s production fall well short of Seuss’s original work. The movie’s most obvious failing lies in its repeated inclusion of big piece musical numbers, the lyrical thrust of which seems to suggest a wannabe Seuss-ishness by co-writer Cinco Paul, but one that holds no great regard for the original text, and in any case hides itself behind cluttered spectacle and bombastic instrumentation. (Ben Folds may have prostrated himself in Over the Hedge, but at least he had the guts to do it bold-faced and “out there”.) Notwithstanding that there is no legitimate place in animated cinematography, generally, for the great and somewhat inexplicable American fondness for musicals, in The Lorax, specifically, where at a pinch all the Mickey Mouse singing might have been excused as filler to help pad a 61–page picture book into 86 minutes of film, clearly it doesn’t even serve this purpose. Indeed, very few of Seuss’s own words feature in the movie, and the most hauntingly evocative section of his original narrative—20 pages of denigration in which the “smogulous smoke” and “gluppity-glupp” and “schloppity-schlopp” of the Once-ler’s factories turn the Truffula paradise into a grey and poisoned wasteland—is compressed into a verse or two of the song “How Bad Can I Be?” and otherwise ignored, as if those Hollywood spirits who now speak for Theodor Geisel were somehow embarrassed or afraid to linger (or, more accurately, do more than touch fleetingly) on the sickened spectacle that lay at the heart of his cautionary vision. Much though readers of Dr Seuss might approach a cinematic viewing with trepidation, film treatments of Theodor Geisel’s books were always going to require the creation of new material. That such could be scripted while staying true to Geisel’s imaginative scope was shown by the 2008 rendition of Horton Hears a Who! and, with the exception of the aforementioned musical numbers, The Lorax again demonstrates the writers’ capacity to don the big, zany hat without becoming hopelessly lost in it. Ken Daurio and Cinco Paul comprised half the team responsible for the Horton screenplay, and the non-adaptive aspects of their Lorax script are similarly impressive in capturing the unexplored peripheries of Seuss’s book. Thneed-Ville, for example, is transformed from a dour, subsistence town backdrop into a colourful, walled-off settlement of false cheer and prosperity. The contrast between the two short-of-stature characters—the doddering, overwhelmed Lorax and the pernicious, over-compensating Mayor O’Hare—is played up in suitably Seuss-esque style, and the fleshing out of Ted Wiggins from nameless listener to spunky and modern-generation adolescent participant is achieved without going beyond the essential boundaries of the determined and inquisitively undaunted stock child character who appears regularly throughout Geisel’s works. These new elements of The Lorax are handled with finesse, yet aspects of the original book are treated with less fidelity, and pointlessly so, perverting some of its charm and effect. Most seriously, the Once-ler and his fellow capitalists have ceased to be a family of mostly-hidden individuals with mysterious green arms emerging from off-page or behind bushes or inside buckets and wagons and buildings. Instead, they are presented as “ordinary” caricatured hillbillies—even the typically outlandish Once-ler Wagon is rendered mundane—and the Once-ler himself is made to physically resemble an older, less fortunately circumstanced version of Ted Wiggins. Through substitution of this seemingly obligatory (by American movie sensibilities) dysfunctional family background, the Once-ler is given an excuse for doing what he does, and although there may be some merit in moralising to children the importance of keeping to one’s promises and integrity, it nevertheless seems terribly unfaithful to take the formerly opportunistic and entrepreneurial Once-ler—in blatant allegory, the faceless arm of short-sighted industrial “biggering”—and to strip him of his corporate anonymity, thenceforth colourising his actions as merely the misguided selfishness of a good-at-heart kid whose failings can be blamed squarely on his parents. The concept of the Once-ler as “victim” is in no way part of Geisel’s story, and to see the carelessly destructive villain offered this level of pardon (he is even shown to have “redeemed” himself by growing a Lorax-like moustache) will be thoroughly galling to anyone evenly vaguely cognisant of the book’s original premise. The shame of this conceptual faithlessness is that The Lorax, in terms of its technical aspects, captures quite beautifully both the verdant paradise and chilling devastation of Geisel’s illustrations, not to mention his mad flare for steampunk contraptions and wondrously warped architecture. The Truffula Trees are as divine as their felling by the Super-Axe-Hackers is hellish, and the chopping down of the last tree—presented as a wearied labour, almost; the inevitable conclusion of a sequence over which the initiator assumes neither control nor responsibility—is without doubt one of the most forlorn and poignant moments in modern cinematic history. 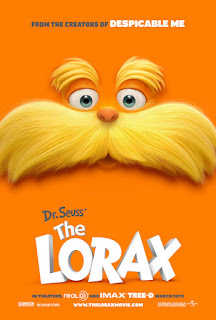 This isn’t something that the film dwells upon, however, and the overwhelming impression one receives is that the box office “biggerers” were given too much say in keeping The Lorax as light and childishly palatable as other, well-known works in the Dr Seuss library. 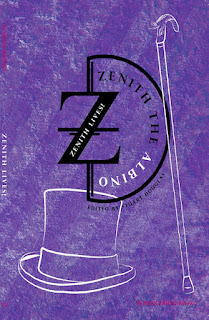 The result, sadly, is that Geisel’s grim and masterful book has been done a disservice—likewise its adherents—and the film, though containing much that is funny and enjoyable, falls far short of being the ominous and overtly portentous classic it could so easily have been, had only the cinematic realisation been knitted together with a Once-ler’s great skilful skill, then brought to the big screen through judicious use of a Thneed. A Woman of Mars, by Helen Patrice (hb, 48pp, available here) is the sixth collection of poetry from PS Publishing’s Stanza imprint, telling the story of a fifteen year-old girl who falls for a handsome twenty-six year-old astronaut—“Only from within his eyes, / did I see clear / for the first time, / a future of steel and stars” (“The Stirring”)—and travels to Mars in the spaceship he pilots to join the founding of a colony. Hence the subtitle: the poems of an early homesteader. The story it tells, of dust storms, disasters and terraforming, isn’t particularly novel, but its point of view is, as shown by the title: she’s a woman of Mars, not a princess, warlord or god; it’s the story of what a normal life might be like, lived on Mars, coping with life and with death, and the subtitle suggests that these are not just poems about her, they are to be taken as poems by her. Not every poem is in the first person—“Buried”, for example, imagines a series of messages sent out to Station five during a sandstorm (“Mining station five, / the storm is abating. / What is your status?”)—but most are, and we see both old and new Mars through the prism of her life and relationships. In “Transition” she reads all at once the emails that her mother, left behind on Earth, sent while the colonists were in transit and asleep, changing from anger to sadness: “I read her moving from / three word missives: / ‘I hate you’, / through to ‘I would kill him’, / to ‘come home’.” We see the couple search for useful work: “There is no need for an old / boy cosmonaut” (“Finding Home”); and her changing attitude to Mars and its red dust: “The sand eats my booted foot, / even as I stand. / Mars is starving for us all” (“Buried II”). Years later, the red dust driven away by green and yellow, she begins to miss it: “I will never see clear red Mars again, / now that terraforming is begun” (“Mars, Lately”). Having lost Vassily, she now loses even the planet on which they lived. The thirty-three poems vary in length and style, although none rhyme and only two are longer than a page. 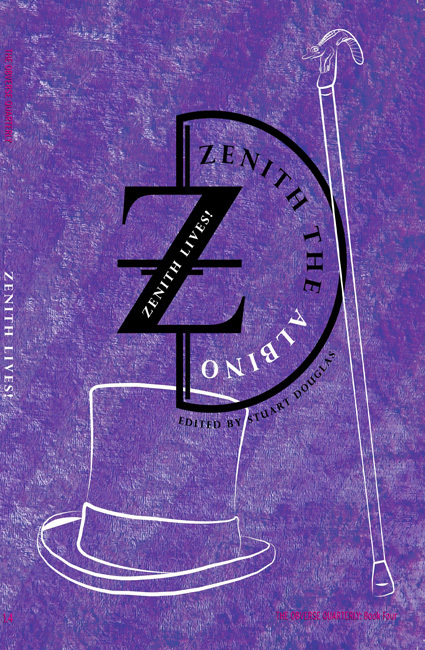 The poems are direct rather than elliptical or metaphorical, speaking plainly of events in a way that leaves the reader to appreciate their importance to the writer, stories stripped down to the fewest words necessary. It’s a brief book to read, but an interesting one, even to an infrequent reader of poetry like this reviewer. And so the spoils…Brave, directed by Brenda Chapman, then Mark Andrews. Tenth century Scotland is ruled by King Fergus of the Clan DunBroch, but remains united largely through the diplomatic nous of his wife, Queen Elinor, who keeps the high-spirited squabbling of Fergus and his three most powerful allies (Lords MacGuffin, Macintosh and Dingwall) from escalating into pride-fuelled clan warfare. Elinor is schooling her teenage daughter, the Princess Merida, in the ways of queenliness, but Merida is as independent as her hair is red, and when she baulks at the prospect of being married off to whichever of the three clans’ firstborn sons should compete for her least ineptly in a betrothal contest, there develops between she and Elinor a mother/daughter rift that threatens not only the happiness of the Clan DunBroch but also the sanctity of Scottish traditions, upon which balance (somewhat precariously) the brotherly affections and rivalry that define Fergus and his fellow clan leaders. Merida hot-headedly bargains with a witch to “change” her mother, but must then deal with the consequences of that (over-literal) change and put things right before the scrambled yolk of second dawn breaks its permanency upon her wish. For those who may happen upon Brave without the benefit of a trailer, the film’s first pleasant surprise will doubtlessly be its Scottishness, which comes as a revelation not so much in its existence (there being a real world, not a fantasy setting) but rather in the authenticity of its manifestation. This is not clichéd Scotland with outrageously fake accents, nor is it some grittily realistic historical re-creation so true-to-life that it becomes utterly bewildering to anyone who’s never played the bagpipes. Avoiding these extremes, Brave presents instead as a modernised but faithful depiction brought out through its genuine connections to the Scottish Isles. The score, for instance—which is comfortably saddled to the moods of the story and carries it along with a laudable measure of originality, bolstering rather than distracting—is by Scottish composer Patrick Doyle, and is distinctive in featuring (albeit sometimes in revamped, electronic form) a plethora of traditional Scottish instruments and cadences. The voice cast, too, consists primarily of Scots or actors of Scottish descent, from Fergus and Elinor (Billy Connolly and Emma Thompson), through the Lords Dingwall, Macintosh and MacGuffin (Robbie Coltrane, Craig Ferguson and Kevin McKidd), to Merida herself (Kelly Macdonald of Trainspotting fame), whose part was to have gone to Reese Witherspoon until “scheduling issues” (read “the odds against successful dialogue coaching within the lifetime of the film”, or perhaps just “sanity”) prevailed. The only notable outsider is the woodcarver/witch (Julie Walters), whose bear-plagued magic in any case lies very much on the peripheries of the Scottish world. Second on the list of pleasant surprises will be the quality of Brave’s animation. The vast majority of Pixar feature films (of which there have been twelve, prior to Brave) have starred non-human characters—a practical decision, apparently, based on the limitations of what the studio’s animation system could realise—but with Brave that technology has been broken down and rebuilt to allow for the tremendous nuance that the Scottish folk show in both movement and expression. This isn’t to say that the animals are lacking in any way—on the contrary, Merida’s horse Angus is supremely lovable, and Elinor is nothing short of award-winning when first transformed into a bear—but the depiction of people offers vast new scope and thus constitutes a tremendous leap forward for Pixar. (Perchance, therein lies the real significance of Enrico Casarosa’s short animation La Luna, which in theatrical release has been screened as Brave’s curtain-raiser?) To those of the “now” generation, Brave’s Scotsmen (in particular, no disrespect to the women) may call to mind the Vikings of How to Train Your Dragon (DreamWorks, 2010), but for those of us who grew up on static images, there is something in the poses and physiques of the Scottish protagonists—in their baffled expressiveness, their sudden interjection into proceedings, even the timing of their dialogue—that is ever so wonderfully reminiscent of Albert Uderzo’s Asterix comics, only brimming with all the vigour and vim so lacking throughout countless, soulless attempts elsewhere to animate our Gallic heroes and bring their comic poise to life. French visual effects company Mac Guff (Despicable Me, The Lorax) is planning a new Asterix animation for release in 2014, but even at this early stage, judging by what is evidenced in Brave, it seems likely that fans will be more inclined to lament Pixar’s non-involvement than celebrate Mac Guff’s efforts to brew the magic potion. Brave is structured around a female lead—this much is obvious from the theatrical poster—and has attracted further attention (and then renown) in the pervadingly male world of feature length animations for having a female director (the story’s originator, Brenda Chapman) who then was replaced mid-production. For many of us, however, (adults and children alike), these gender issues are very much by-the-by. The beauty of Brave—and the third item on any speculative cinemagoer’s list of pleasant surprises—is not that it offers a challenge to the traditional male dominance over scripting and production elements, but rather that it tells a good story, and in doing so constructs a parent/child dynamic (which is easy to understand, whether one relates to it directly or not), and then pursues this storyline and relationship dynamic with clarity and purpose sans the hodgepodge elements that so many animated films seem to litter about the place in trying to pitch their product at four or five different age groups they clearly have judged to share nothing in common. Brave is a comedy, but its humour is such that everyone laughs at once rather than taking it in turns to be tickled (younger viewers boggling with incomprehension while teens snicker or oldsters wince their abhorrence of cutesy singing lemurs or such inanity). Brave is consistently funny, but achieves this through dint of astute peppering rather than saturation bombing. It also presents as both serious and emotional, and—whether due to its distribution by Disney, its much-vaunted feminine touch, or just the unabashed Scottish attitude that no man is too manly to wear a kilt or cry when he’s sad—tells its tale openly and without hiding its message behind an embarrassment of walk-on characters or paper-thin layers of substandard subplot. 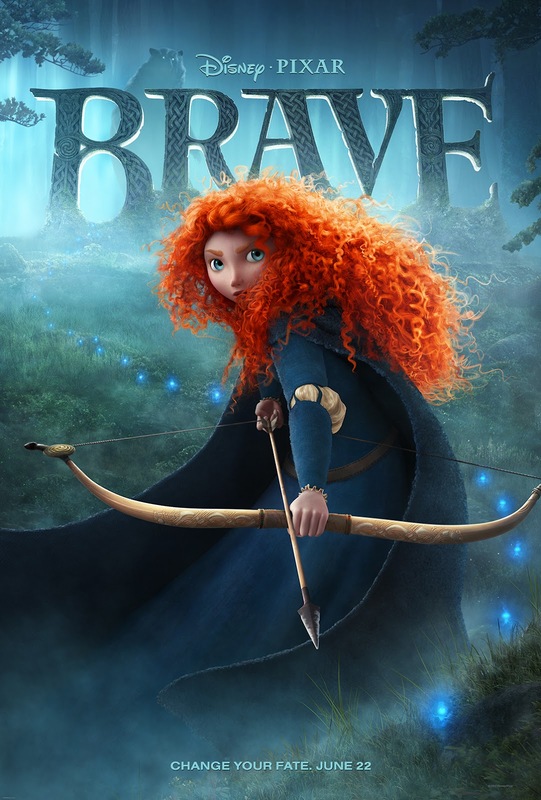 Behind the comedy, Brave is a film about responsibility, and just as Merida grows from impetuous beginnings to express herself within more measured constraints, so too does Brave learn from the capricious mistakes of some of its predecessors in the genre; by taking seriously its responsibility both to the subject matter and to the audience, Brave hurls the haggis far and blossoms as an animated comedy of considerable substance.